Fences is a free program allows you to organize icons from your Desktop into labeled groups so that your desktop doesn’t look messy. Fences comes with built-in predefined layouts for new users who don’t want to configure. Fences groups are resizeable and movable and you can hide it by double clicking your desktop and get it back by click twice again on your Desktop. 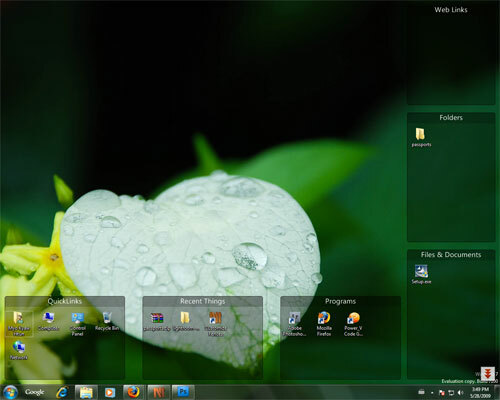 Fences is free software and you can download at Stardock. If TwitPic is for sharing images on Twitter, Twitvid is “TwitPic of Video”. 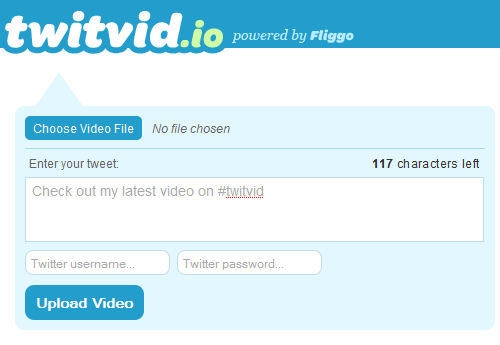 Twitvid is built by video sharing service Fliggo allows you to share your videos in Twitter. Like TwitPic, you need to have Twitter account to post your videos from TwitVid. Co-workers in your office might think that you’re extremely busy with spreadsheets. 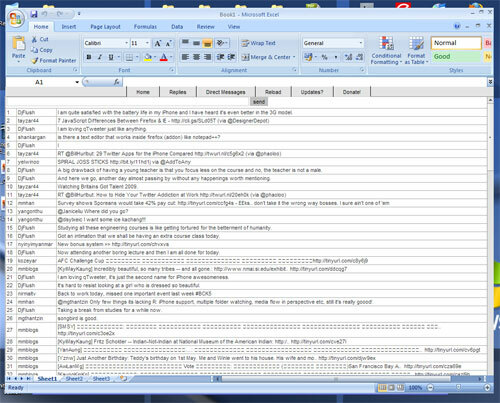 Spreadtweet is an Adobe AIR application looks a lot like spreadsheet that you can retrieve and sent your tweets from it. You can choose layout from Office OSX to Office 2003 and Office 2007. To use Spreadtweet you must have Adobe AIR installed in your machine.